This DIY flower vase project is especially for you if you love to keep appealing bouquets around you. 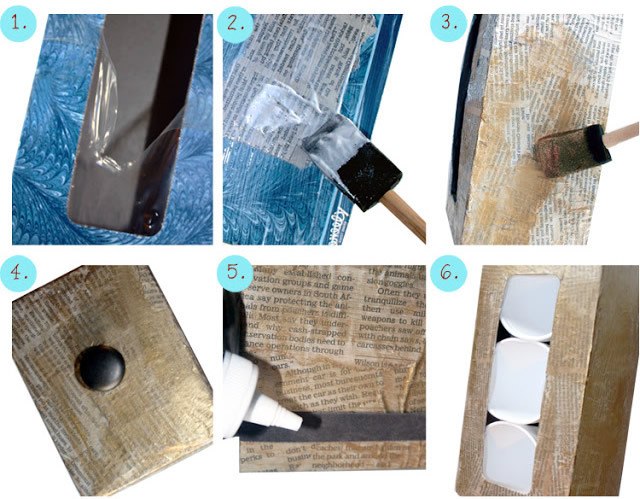 After trying this project you can produce DIY vase upcycled from a few newspaper strips and a tissue box. Thus, you will get something appealing and unique to display fresh flowers. 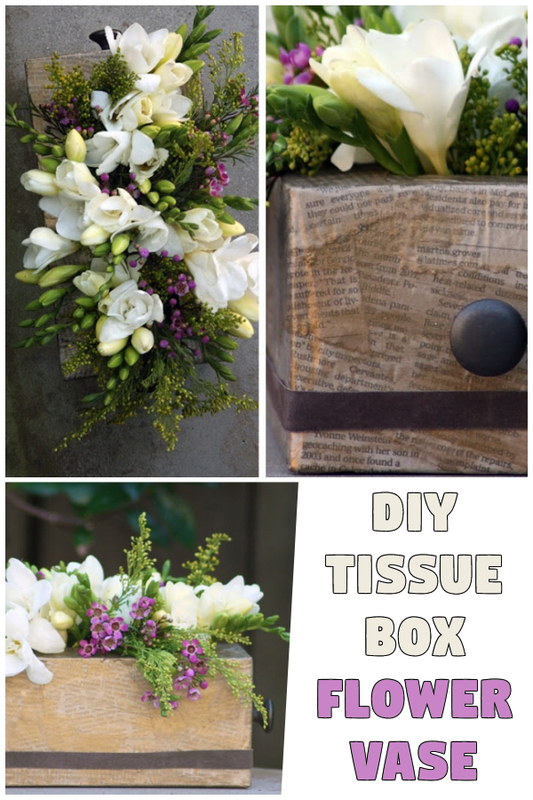 A used tissue box with a few embellishment can work as the best alternative to a vase. You can use it to display short-stemmed flowers. Newspapers are mine choice but you can pick any other type of paper like wrapping paper, magazine pages, or colorful decorative pages to make your DIY flower vase look more appealing. Start the crafting process by removing the clear plastic strip from the inner side of the tissue box. Now apply a layer of decoupage source by using a foam brush. After that apply a newspaper strip over it and then one more coat of decoupage medium over the newspaper strip. Continue this process until the whole tissue box is covered. Let the decoupage medium dry and then pain the whole box with acrylic paint. In order to offer a decorative appeal, glue cabinet knobs by using strong glue. You might need something better than tacky glue if the knobs are heavier. You can use a rubber band to hold the knob in order to glue it perfectly. Now is the time to enhance the exterior appeal of the box. You will have to wrap a ribbon around the box. Use the tacky glue to keep the ribbon in place. Once the box is ready you have to fix disposable cups inside the decorated tissue box. I am suggesting disposable cups because you can easily bend them a little in order to fit them perfectly inside the box. Now pour some water in the cups and then put the flowers. Whenever you want to replace the flowers, you should first take the flowers out and then remove the water from the cups. Do not inverse the whole vase otherwise water will spill inside the vase and it will get damaged.